For seven days in September 2012, thousands of Chicago public school teachers walked off their jobs when contract negotiations with the city ground to a halt. Represented by the Chicago Teacher's Union (CTU), the striking teachers were the first in more than twenty-five years to stage a work stoppage, and their strike affected more than 350,000 school children in America's third largest public school system. There were a lot of issues on the table: benefits, pay increases, the length of the school day, comfortable classrooms, and proposed school closings. But what became the central issue and garnered national attention was the question of teacher evaluations. How best to evaluate teachers? Are student test scores indicative of how well teachers are doing? How much attention should scores command in the evaluation process? And should a teacher's job security, say, or wage increases be inextricably linked to student performance? 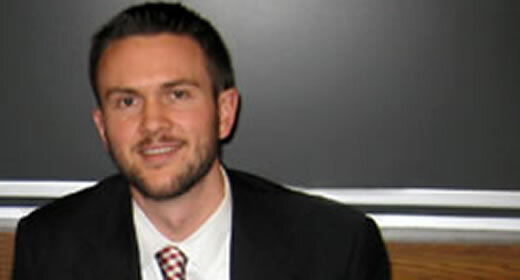 Grant Erwin (MPP '09) has wanted to work with kids for as long as he can remember. He credits his Ford School education with helping him think "big picture" about education—to make sense of the data on schools and student achievement. After completing his master's, he joined Teach for America and taught middle school math for two years in Gary, Indiana. He currently teaches ninth-grade algebra at Pritzker College Prep, part of the Noble Street charter school network. As a charter school teacher, he didn't participate in the CTU strike. Nevertheless, he believes that both sides had valid arguments around a number of issues, and he has definite opinions about the need for an evaluation system. "From the union's perspective, the evaluation system isn't perfect, but a teacher evaluation system is never going to be perfect in the eyes of everyone. But [they can't let] that stop a good system and a necessary system from being put in place," he says. "That really was the sticking point. They're trying to protect their teachers but the strike hurts kids." Grant explains that Pritzker makes quarterly assessments of student progress, and teacher evaluations at the school are based almost entirely on student test scores. While Grant doesn't believe that an evaluation system based almost entirely on test scores is the ideal model, the issue doesn't worry him. His students have shown consistent academic growth each year since he joined the faculty in 2011—and, he says, they enter Pritzker with average test scores consistent with Chicago Public School students. "I teach to a much higher standard than the test. The kids really know the material." Some might pass off such claims as charter school cheerleading, but Grant notes that charter schools, in and of themselves, are not the solution to an ailing public school system. Top-performing charter schools, however, should be an integral part of education reform. His work speaks to—and demonstrates—a passion for teaching and learning that many find missing from public school education. "Some schools are happy with kids being mediocre, but we have very high expectations for our kids. Until I came to Pritzker and saw what kids can really do, I didn't even know what high expectations looked like." Grant emphasizes that the school also prioritizes professional development, support, and mentoring for teachers, which has made his job that much more enjoyable and effective. He's also convinced that, ultimately, some combination of student test scores, teacher observation (by other teachers, administrators, or outside observers), and student surveys—not yet used in Chicago schools—will be necessary to make a fair assessment of how educators are doing in the classroom. Down the line, Grant would like to move toward becoming an administrator. "But not just yet," he cautions. "I want to stick with teaching for a while."